May Menassa was born in Beirut in 1939 and holds a postgraduate diploma in French Literature. She began her career as a broadcast journalist in 1959. She was the first woman broadcaster in the early days of Lebanese television and presenter of the “Women of Today” programme. She has worked as a literary and music critic for the Lebanese newspaper An Nahar since 1969. She has published 10 novels, as well as two children’s books and has worked on many translations, mainly from French into Arabic. Her fifth novel Walking in the Dust was shortlisted for IPAF in 2008. Her first novel, Pages from Notebooks of a Pomegranate Tree (1998), was translated into French in 2012. 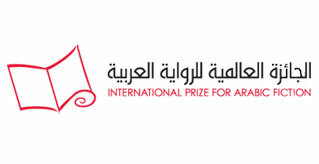 One of the main aims of the International Prize for Arabic Fiction is to encourage the translation of Arabic literature into other languages.